April 15 marks the 100th anniversary of the RMS Titanic's sinking. What's that got to do with running your business? Plenty. An ocean liner, of course, is a floating business. In this case, it's a business that failed catastrophically, on its maiden voyage. 1. Look where you're going. The Titanic's crew failed to keep a sharp lookout for icebergs, a bad idea given how difficult it is to quickly turn a huge cruise liner. This was their fatal error, as icebergs turned out to be in unusual places that year. New research reveals the reason why: an unusually close moon caused an exceptionally high tide, moving icebergs that would ordinarily stay near shore out into deep water, and into Titanic's path. This news reminds me of what's happened in industries such as video-rentals and the music business -- old-school companies continued on the usual course and ignored all signs that the marketplace had changed to a digital realm. The result was that new competitors stole their customers while older businesses floundered. Stay alert to new trends and a changing marketplace to make sure your business doesn't flounder. 2. Don't get cocky. Titanic was famously promoted as being “unsinkable.” No business should ever think of itself as invulnerable. Few businesses last forever, and they all have weaknesses. Smart business owners reduce the dangers by considering and planning for every possible risk -- even those that seem almost unimaginable. 3. Plan for problems. The Titanic sinking would be known as far less of a tragedy if the ship had been equipped with enough lifeboats. According to RMS Titanic Inc., whose mission is to preserve the Titanic's artifacts and history, the ship complied with then-current law, which didn't account for a vessel of Titanic's size. Instead of doing the right thing, Titanic's builders cut corners to preserve deck space and cut costs. But the real cost of this casual attitude toward safety was the loss of more than 1,500 lives. Hopefully your business mistakes won't cause deaths, but if yours operates any sort of physical plant, be sure to practice evacuation drills with employees. Make sure fire alarms and exits are all operational. 4. Don't neglect training. The Titanic's evacuation was delayed by lack of crew and passenger training and preparation. There was no lifeboat drill once Titanic sailed, and lifeboats turned out to be less than fully provisioned. The result was chaos and confusion, and likely fewer lives saved. The best company in the world can't run properly if employees don't know what to do. 5. Worry about the important stuff. 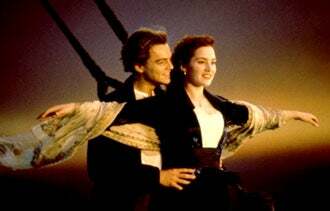 The term "rearranging deck chairs on the Titanic" has come to symbolize an inappropriate focus on the small stuff when there are big, underlying problems. This is something I've seen too many business owners do. If the ship is sinking, get down to the engine room and find out why. How do you keep your business on course? Leave a comment and let us know.